It is hard to fit exercise, or any form of activity into your working day, when you are stuck at your desk working 8 hours a day, and deadlines are stacking up. There are a few things that can have a positive effect on your fitness levels. 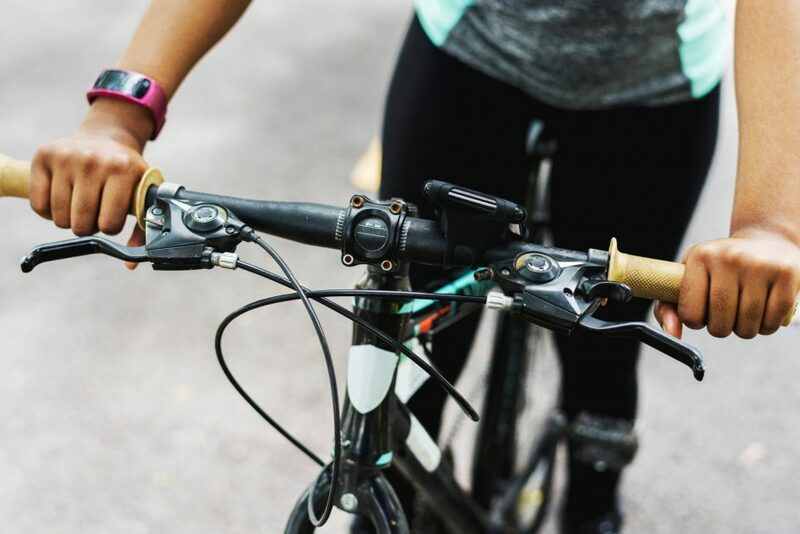 Walk to work, or jump on a bike in the mornings, if you have to drive to get to work, maybe park slightly further away than usual and give yourself a brisk 10-minute walk to your office. If you get the train/underground get off a station before if it’s feasible and give yourself the extra journey to walk. This might not be an option every day, but it’s a great start to adding some activity into the beginning of your day. Take a fitness ball to work, or ask if they can provide you with one, and spend some of your day not on your chair, but on your ball doing gentle exercises as you work. Using the ball also helps improve your posture, as well as core strength. Download an app, that tracks your steps, and set yourself a goal to reach every day. You can use your lunch time to take a walk, or instead of phoning your colleague in the other room, get up and talk to them instead. Fashion is very important in the workplace, even subconsciously we all dress to impress while we are at work. If you try to wear less restrictive dresses, or flat shoes instead of high ones, you’re more likely to change little bits of your day, like using the stairs instead of the lift. While waiting for the photocopier, printer, microwave or even the meeting room, take a little stroll, or do some small exercises – you don’t have to stand still. A wall sit, squat or lunge can make all the difference.